Men… I love ’em. I love lining their caves with pillows, cushions, bear rugs, draping their walls and windows. Guy fabrics exude such personality … masculine… musky… tall-dark-handsome… for that reason, I’m mad about plaid. While I still have many more plaid pillow panels on the cutting table, here’s a few to get you started with your fall / winter decor plans. Think luxury! Here’s a gorgeous, slate gray, imported silk from Maxwell Fabrics. The metallic copper and gold stripes were really tough to capture in a photo but the colors are so strikingly sophisticated. No stodginess in this gray. 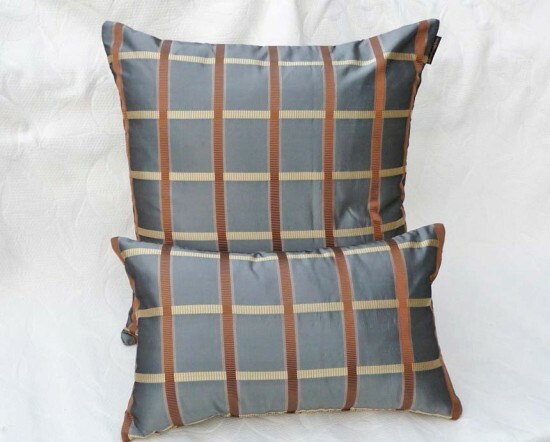 As with any quality, custom, decorative throw pillow, this high end fabric is the same on the back, as it is the front. 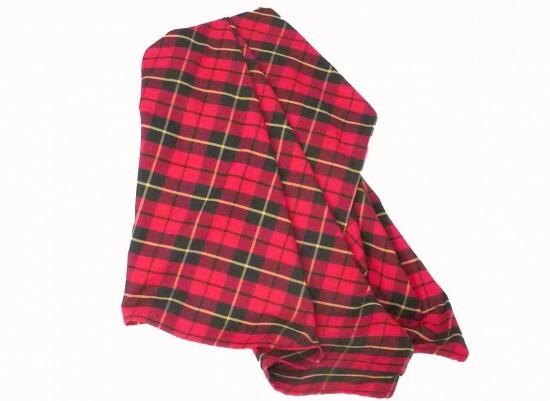 The plaid pattern is matched from front to back and also, the silk is lined / interlined with a heavy napped sateen giving it a rich hand and a smooth, soft shape. This summer, while I was traveling in Europe, I saw houndstooth designs not just in home fashion but everywhere! Men’s and women’s fashion, wallpaper, rugs, everything! Blue, although it is not a strong trending color this year in a women’s world, it is a traditional color for men. 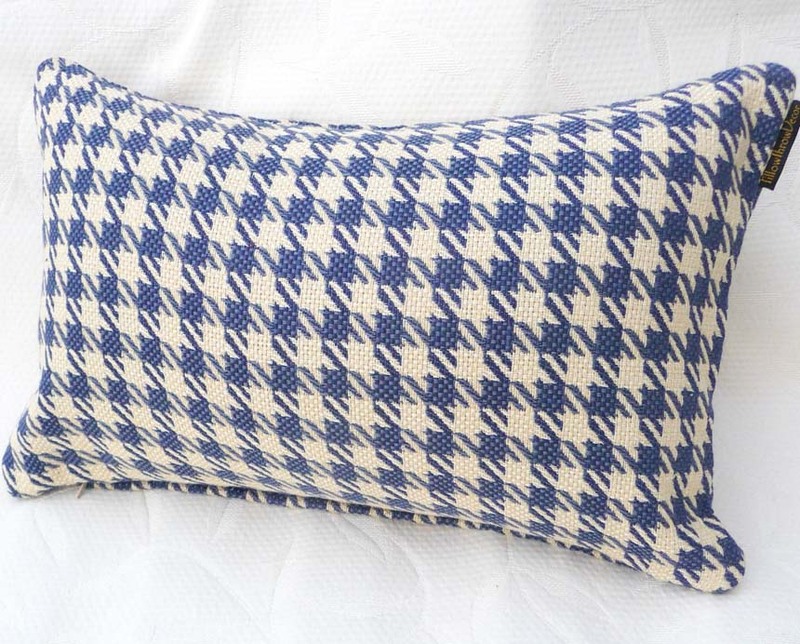 So here you have a heavy weave, houndstooth pillow with a predominate blend of cotton. It exudes a strong, reliable, masculinity. I love it and am thinking about reupholstering my husband’s den chair in this. Multiples and custom pillow sizes are available. Traditional designs include heaps of cut velvet pillows often draped with braids and bullion fringe. 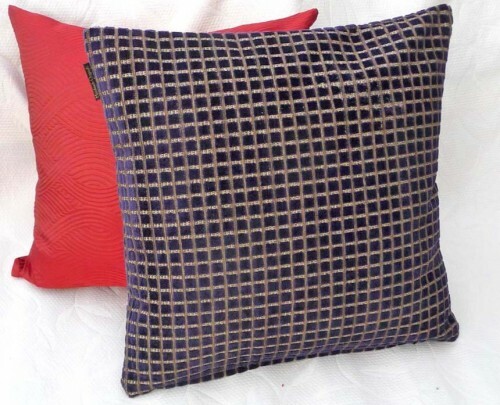 Again, here’s a strong, tried-and-true blue, cut velvet, checked throw pillow that just wraps its arms around you. Clean, simple knife edge with no extra fru-fru. Ideal for a guy’s space but ladies just love to embrace a “bit of him” when he’s not there. Here’s a throw pillow that’s rich, warm and embracing! Can I ask a small favor? If you were to Google search for a guy pillow, can you tell me what search words would you use? Would LOVE to hear from you! I love love houndstooth too and it is so hot right now! Maybe it’s just me, but I see most pillows as “asexual” (lol)!